IMPORTANT NOTICE : Prices are changing every minute. We are giving our best to update article as soon as possible. Amazon Prime Day 2017 is less than 24 hours away which means you’re in store for some awesome deals. Why is that? Well, for those of you who don’t know, Amazon Prime Day is one of best shopping “holidays” that goes on an annual basis. Some people are even bold enough to compare it with Black Friday and Cyber Monday… And believe it or not, they are actually correct! Amazon Prime Day is at the same level (some would argue that it’s even bigger) with Black Friday and Cyber Monday. Take 2016 as an example – FBIC analyst Deborah Weinswig estimated around $525 million in sales during that day. Others estimate around $500 and $600 million which is much higher from 2015’s $415 million projected sales. Amazing, right? You don’t feel like registering for Prime? You’ve already wasted your free trial? No worries! You will still be able to get your hands on a few deals that aren’t Prime-only. Holy Stone HS170 is 20% OFF. One of the most popular toy grade drones now can be bought for $32. This drone is ideal for indoor or in-yard use. 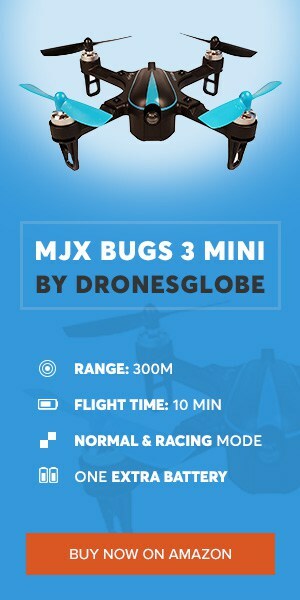 It has a flight time of 6-8 minutes (buy extra batteries) and range of 50 meters. It does not come with a camera, but let’s be honest, can we even expect camera on a drone for $30? Holy Stone F181W is 20% OFF. Holy Stone really knows what market needs. They proved that by producing two bestselling drones. F181W comes with a 720p WiFi camera (you can have a live feed to your smartphone). It has a altitude hold, which will make flying much easier for beginners. Range : up to 100 meters. Flight time : up to 10 minutes. Yuneec Typhoon H is $300 OFF (23%). This is a high-end hexacopter which is well known for it’s reliability. With it’s 4K camera, 800 meters of range and 23-25 minutes of flight time this drone can be used for a commercial purposes such a real estate business. This is also one of handful drones that can carry a thermal camera. Autel Robotics X-Star Premium is 20% OFF. Many people will say this drone is on the same level as DJI Phantom 3 Pro. If we take look at specs : Flight time : 25 minutes / Range : 2000 meter / Camera : 4K.. we can see they are pretty close. 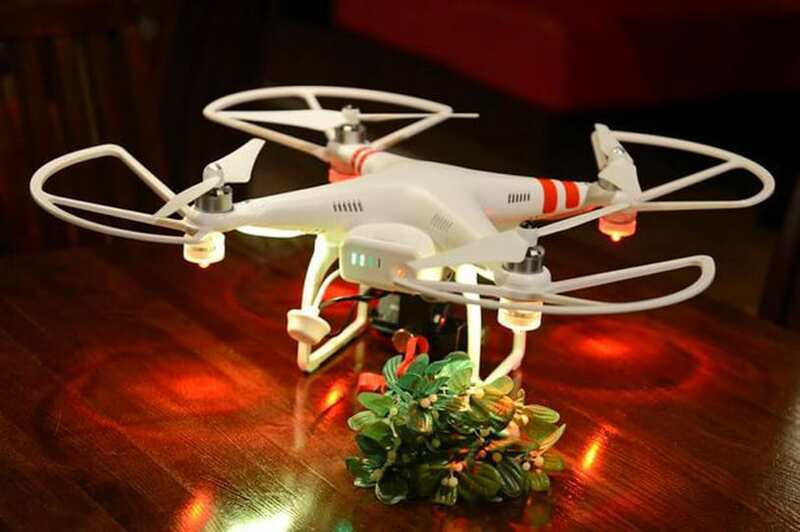 If you want to buy Autel Robotics X-Star Premium, now is the right time! DJI Phantom 3 Standard is 20% OFF. Save $86 and buy one of the most popular drones ever. With a 2.7K camera (12MP), 2 000 meters of range and up to 25 minutes of range.. DJI Phantom 3 Standard still can be considered as a high-end drone. It is great for both beginners and semi-professionals. DJI Phantom 3 Professional + extra battery + SD card is 20% OFF. If P3 Standard is not good enough, and you need something with better range and camera. Then look no further. DJI Phantom 3 Professional comes with 4K camera and can reach up to 5 000 meters distance. Extra battery and SD Card included. DJI Spark is 25% OFF. Newest and smallest drone from DJI just got 25% OFF. Buy most popular 2017 summer drone and capture amazing footages and breathtaking selfies almost automatically. With palm take off and gesture control, Spark will soon become your best friend. Let’s don’t forget it has a 2 000 meter range and can stay in air for roughly 15 minutes. Parrot Bebop 2 with FPV bundle is $208 OFF. Most advanced drone Parrot has ever produced now can be bought for $491. Thing get even better when you realise FPV goggles are included in package. So basically, this is great deal for everyone looking to step into aerial photography or first person view flying. Parrot has a range of over a mile and flight time of 23 minutes. 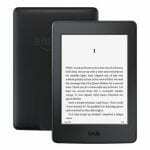 Amazon Kindle Paperwhite is $30 off today. It’s a Certified Refurbished Kindle Paperwhite, but the cheapest price yet for what Amazon calls its most popular e-reader. This is the top deal in our minds. 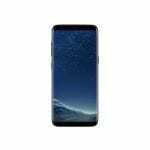 You can get up to 25% off the Samsung Galaxy S8 or 25% off the Samsung Galaxy S8 Plus, and both versions of the smartphone are unlocked. The best part is no dealing with a US carrier contract. 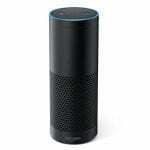 Amazon Echo is just $134.99 when it’s normally $164.99. That’s 18% off. It does come with one caveat: it’s listed as “Certified Refurbished Amazon Echo.” But it’s likely an open box and someone returned it within 30 days. Up to 40% off Kindle Unlimited, which gives you access to over one million books and audiobooks, according to Amazon. It’s Amazon’s version of a library, only this costs money upfront. 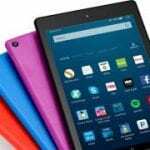 Finally the Amazon Fire HD 8 tablet is $20 less today if you want to have something that’s a lot cheaper than an Apple iPad mini. Amazon Echo Show is $100 off when you buy two. You really have to be in the mood for two Echo Show speakers, but since it just came out, your relatives probably don’t have one either, so it’s a good gift idea. You can think of Amazon Prime Day as Black Friday On Steroids for Amazon Prime users. This new shopping event has racked up impressive numbers in 2016 and 2015 and 2017 could lead to something magnificent… mostly for Amazon, of course. While Black Friday and Cyber Monday are both in November, Amazon Prime Day is in the middle of summer. Why is that important? Well, with December (and the whole gifting season) being just around the corner for BF and CM, there’s a huge aura of gifting in the air. Needless to say, a huge portion of those deals was for gifting purposes… On the other hand, Amazon Prime Day is nowhere near any “gifting” occasions, with birthdays being only exceptions. That’s why you are free to use it for personal shopping for goods and/or accessories which will help you in your day-to-day routine. Basically, if last year taught us anything, it’s that there will be 2 types of deals during the entire 30-hour cycle. Additionally, there will also be deals which are available to everyone and not just Prime members, but we aren’t going to focus on those at the moment. Prime Day Deals last throughout the entire event. They’re well-stocked and offer one-day and two-day shipping options so you can be sure your purchases will arrive ASAP. They are considered as the basis of Amazon Prime Day since they attract the majority of customers. On the other hand, Lightning Deals are these crazy listings that often last for a very short period of time. There’s a fixed number of deals that can be reserved and when that small bar reaches 100%, Lightning deals is finished and you’ll get your item in a day or two. Keep in mind they’ll appear in quick intervals; roughly 5 minutes apart. The first Amazon Prime Day was held on July 15, 2015 on their 20th Anniversary. 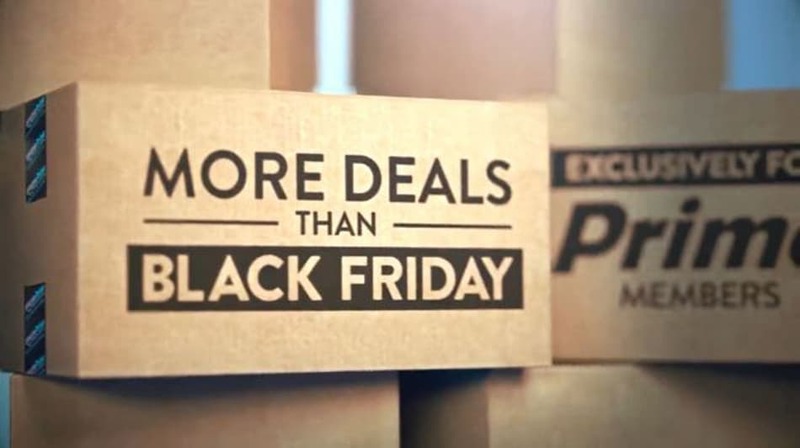 It featured incredible deals and was, even then, compared to Black Friday. Truth be told though, there was a lot of skepticism at the time, fueled by a small fall of Amazon shares at the time. As you can see, Amazon swept the floor with skeptics as its Prime Day continued to grow. In 2016, Amazon Prime Day was on July 12th, 3 days prior to their 21st anniversary. As I mentioned earlier, $415 million were the projected sales of 2015. 2016, on the other hand, went somewhere between $500 and $600 million. What’s in store for us in 2017? We’ll see in a couple of days! In 2017, Amazon Prime Day is scheduled for July 11. 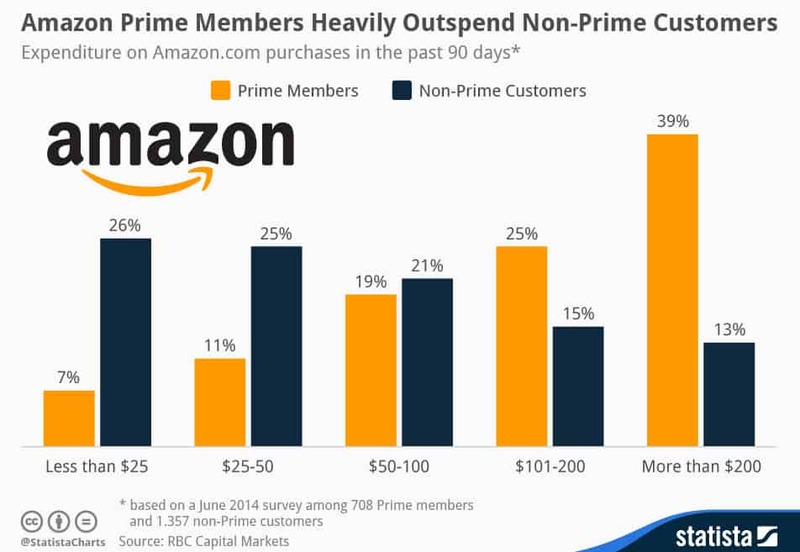 But, since Amazon Prime Day lasts for 30 hours, that means the sales will swing into July 10 as well. To be more precise, Amazon Prime Day 2017 starts on 10 July 2017 at 6pm BST. Amazon Prime Day lasts roughly 30 hours. Amazon Prime Day was the most important day for Amazon in 2016. It’s on par with other similar events such as Black Friday and Cyber Monday. Should I Sign Up For Prime? Well, if you love relaxing with TV series, watching tons of movies and getting the best deals out there… and get them quickly… then yes, you should definitely sign up for Amazon Prime. Not only do you get free one-day/two-day shipping but you also get other perks such as specialized restaurant deliveries, head start on Lightning Deals. Or perhaps you’re a book person? Luckily, Amazon Prime has you covered for that too with Prime Reading which includes eBooks, magazines, comics and audibles. Even gamers can profit from it. Wonder how? It’s simple – with Twitch Prime (free monthly gaming content) and Prime Savings (exclusive preorder discounts for virtually all gaming platforms). So yeah, Amazon prime is a nice thing to have. If not for the best deals, then surely for everything that was listed above! On the other hand, even if you’re somehow unimpressed with all those awesome traits, you should still at least sign up for free trial to get the best deals during Amazon Prime day tomorrow. 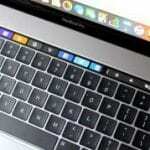 Do you think Amazon Prime Day 2017 will sweep the floor with Black Friday and Cyber Monday? Let us know in the comment section below. Has the DJI Spark deal been posted yet or has it expired already? All I see is the standard $499 price. Has that Spark deal come and gone? All I see is $499. Has that Spark deal started or has it expired? I keep getting $499.